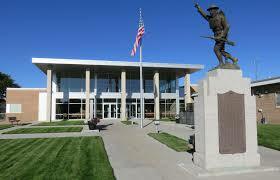 The Cherry County Planning Commission met for their regular meeting on January 15th. After discussion, a couple of amendments to current zoning regulations were approved. One amendment would prohibit commercial/industrial wind energy systems in Cherry County and the other would limit wind energy systems to not exceed 80 feet in height. These amendments will go to the Cherry County Commissions to approve or deny.